Harbour Village's private, white-sand beach offers a peaceful escape with hammocks for napping and lounging, complimentary lounge chairs and beach towels, and beach service from La Balandra Restaurant. Klein Bonaire, a small uninhabited island just off the coast, is the perfect distance for a kayak outing, boat dive or water taxi trip. Guest love spending a few hours of bliss on this little slice of paradise. 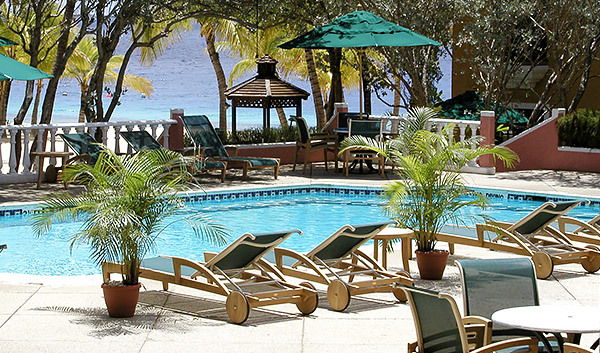 A peaceful spot for sunbathing and swimming, our Kasa Coral pool is located beachside. 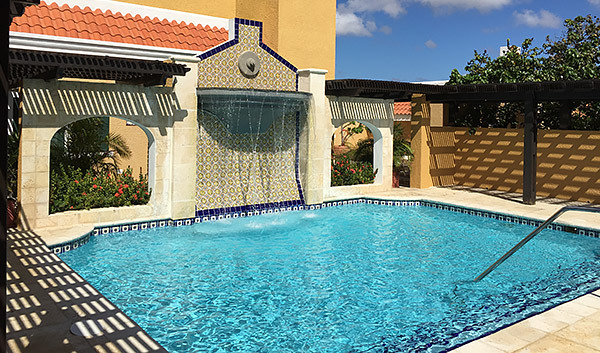 The Spa Cascade pool, located at The Spa, is a private oasis for relaxing before or after a spa treatment.